Probashbangla24 online Desk : A team of Turkish police investigating the disappearance of Saudi journalist Jamal Khashoggi, who vanished after entering the Saudi consulate in Istanbul two weeks ago, spent more than nine hours in the building, a Reuters witness said. 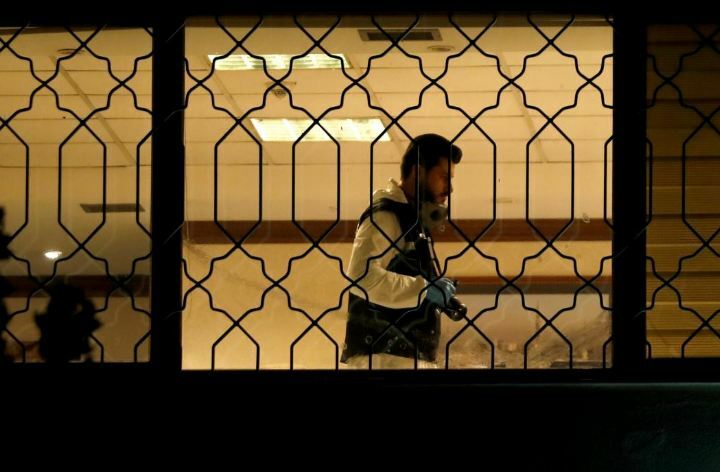 A crime scene investigation team of around 10 people left the consulate after completing a search early on Tuesday, the witness said. Khashoggi, a U.S. resident, Washington Post columnist and leading critic of the powerful Saudi crown prince, Mohammed bin Salman, vanished after entering the consulate to get marriage documents. Turkish officials say they believe he was murdered there and his body removed. Four forensic vehicles arrived outside the consulate and took away soil samples as well as a metal door from the garden, the Reuters witness said. A police dog was part of the search team. A Turkish diplomatic source had earlier said that a joint Turkish-Saudi team would search the consulate – the last place Khashoggi was seen before he vanished on Oct. 2.